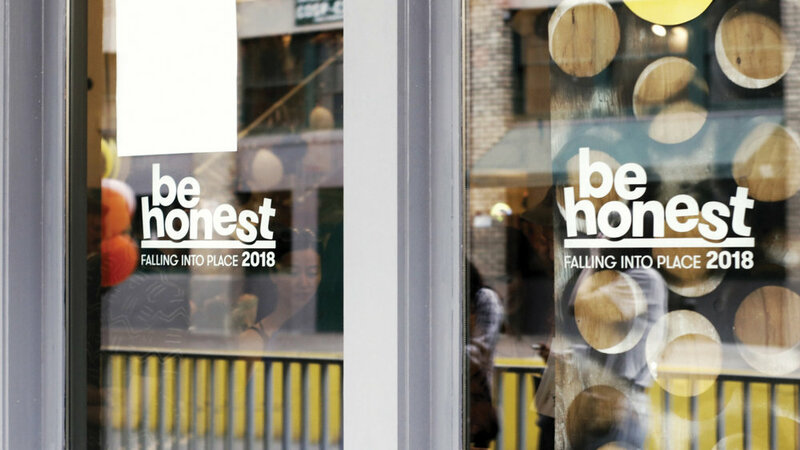 Be Honest is the annual PSUGD student showcase held at Wieden + Kennedy offices in Portland. 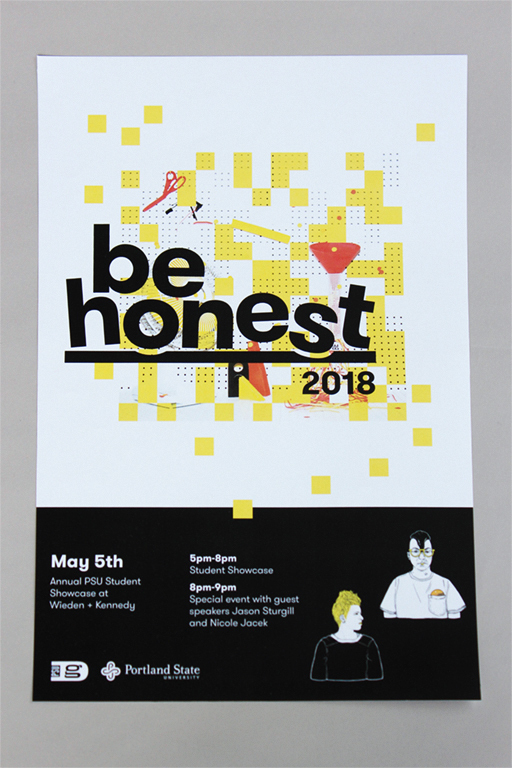 Sophomores, juniors, and seniors in the program display their work and have an opportunity to talk about and get feedback from design professionals. With a team of other PSU students I worked on organizing this event and creating a campaign around the theme title of 'Falling into Place'. 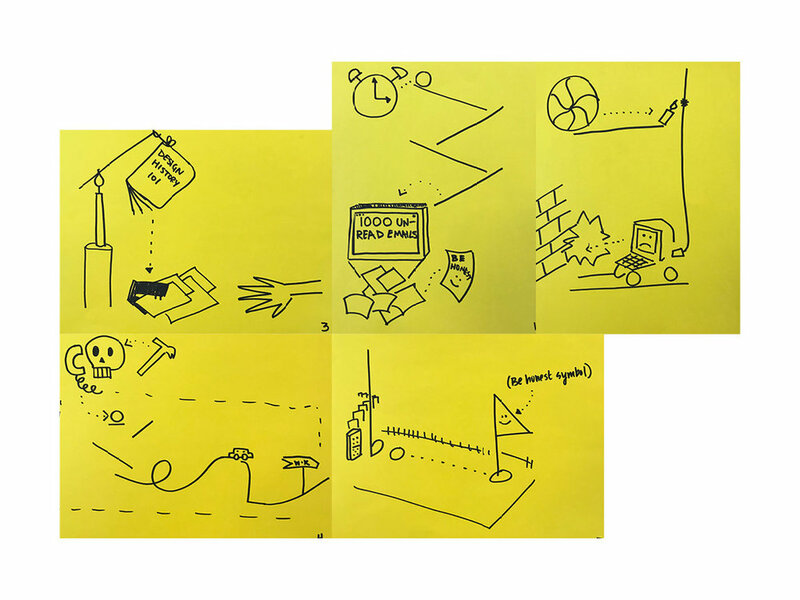 We started from the idea of relating the student process of finding yourself in the design world with Rube Goldberg machines, a series of small chain reactions that achieve an ultimate goal. We created 5 promotional images and gifs that were used for promotional material and event designs that related to this and the idea of creative process and discovery in the design world. 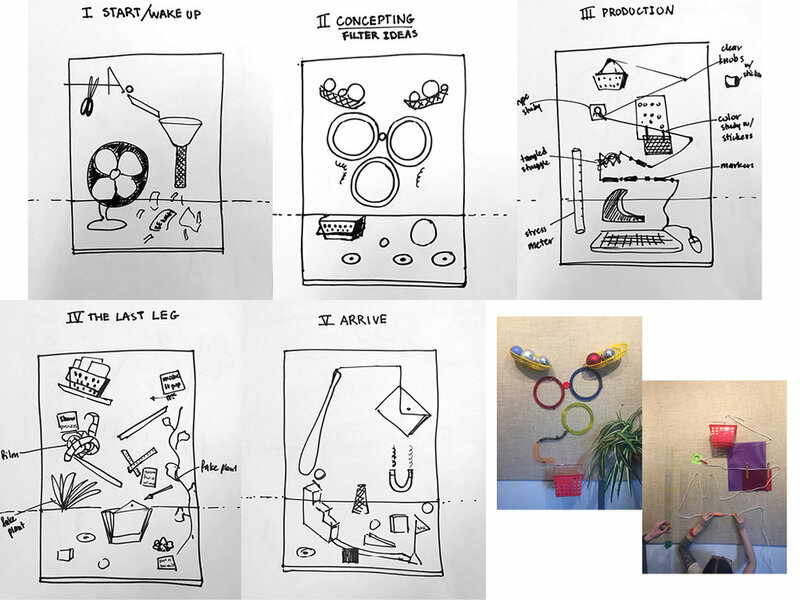 The whole event design started from the idea we had of a series of Rube Goldberg inspired photos, that represented the stages of the creative process to prepare for the event (and life as a designer). 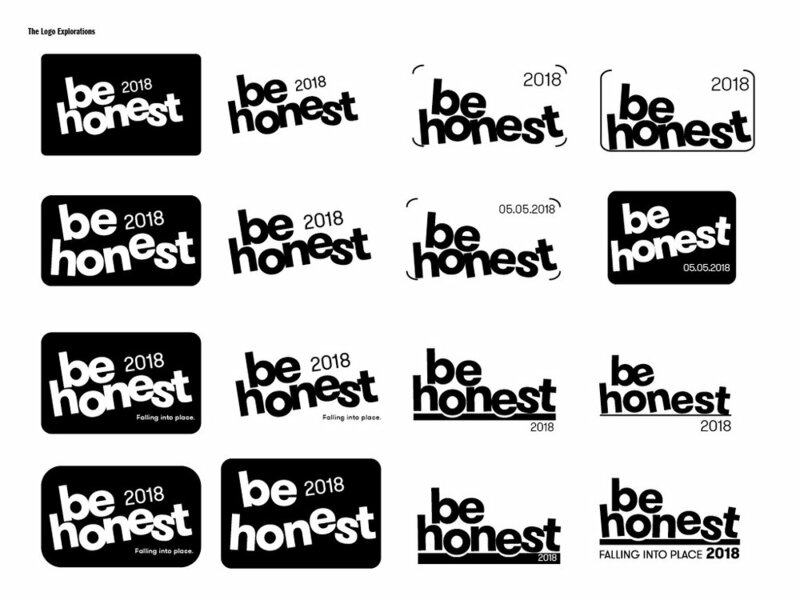 These pictures or gifs would be sent out in GD newsletter and on Facebook and Instagram in the lead up to the event. We storyboarded what these design stages would look like and how we would visually and physically represent these in a photo/gif. Once we had collected all the materials and objects we needed we had to physically lay out each scene to figure out the compositions. We wanted to have a logo that really represented this years theme of ‘Falling into Place’ while also creating something that could potentially be used in the future. So I created the logo for the event with my teammate Maryana Kuznetsova that was bold and fun looked good in vinyl on the front windows. Its a little wobbly and uncertain but with a very sturdy base, similar to a student designer. Motion had become a big part of our campaign, and so I wanted some way of expressing this in the print deliverables. So we linked this idea of movement and momentum to the idea of ‘becoming’ new designers and ‘unveiling’ new talent to the design industry. For these print deliverables I developed this graphic off the idea of the first main image being revealed through a maze of pixels, becoming more focused.